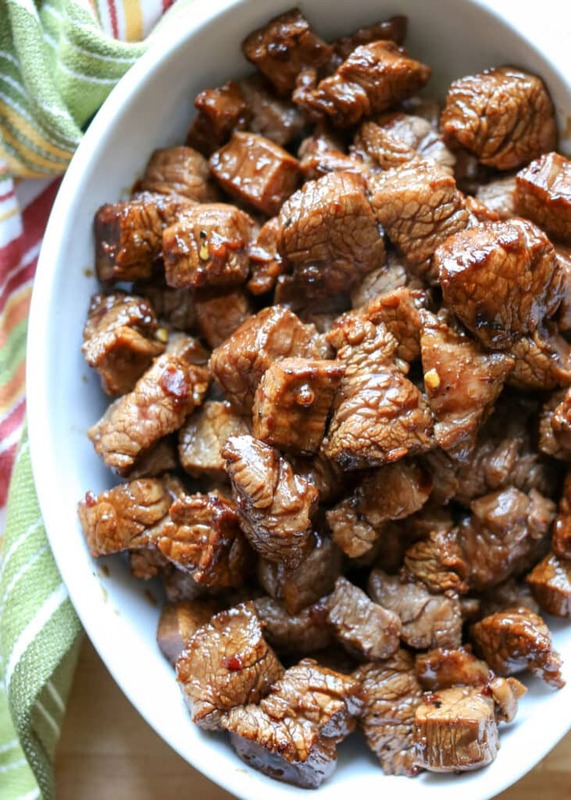 Crisp on the outside, hot and juicy on the inside, these Asian Steak Bites are a hit every single time I make them. This is one of my favorite ways to cook beef. It only takes a few minutes and the result is bite-size pieces of the juiciest steak you will ever eat! 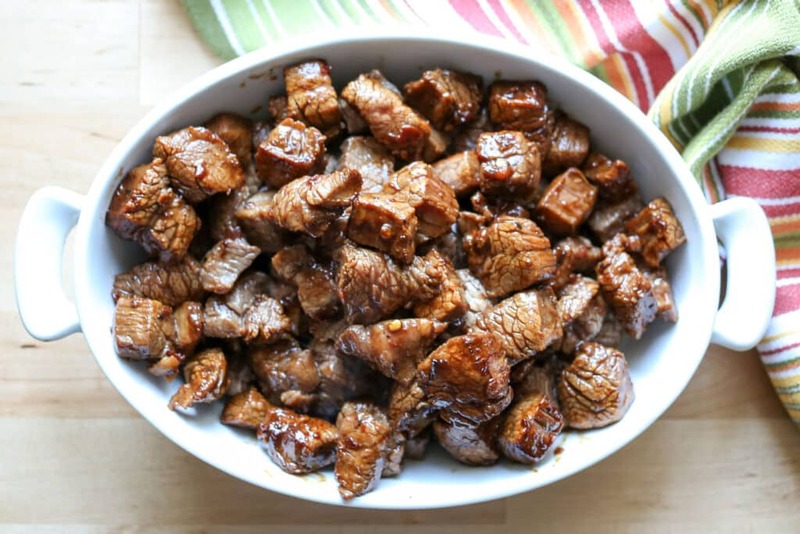 Last time I was in the mood for steak bites, I tried this quick honey soy marinade and WOW. The whole family went crazy for these and they disappeared in just a few minutes. I’ve served these with Roasted Red Potatoes, Melting Sweet Potatoes, Spicy Caramelized Cauliflower, and Salad Skewers. 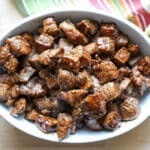 This is a quick dinner that everyone loves and these juicy steak bites work well with almost any side dish. If you’re looking for more quick and easy main dish ideas, check out these Huli Huli Chicken Bites and this Spicy Orange Garlic Shrimp. This Easy Thai Chicken is next on my list to try! 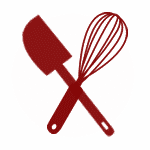 Kitchen Tip: I use this skillet, these tongs, and this spatula to make this recipe. Bite-sized pieces of steak are quickly tossed in a honey-soy marinade and then cooked for just a few minutes. These crisp and juicy steak bites disappear fast. Slice the steak across the grain into strips 1/2" wide. Cut each strip into bite-size pieces, approximately 1/2" - 3/4" in size. Place the chunks of beef into a medium size bowl. Stir together the soy sauce, honey, and chili paste. Pour over the beef and stir to coat well. Let the meat marinate for 20-30 minutes. Heat a heavy bottom stainless steel pan or wok over medium high heat. When the pan is hot, add 1 tablespoon of oil and swirl to coat. Add 1/3 of the meat to the pan and spread out in a single layer. Let it cook for about a minute, until the meat has browned. Flip the meat or toss with a spatula for an additional minute or two as it finishes cooking. Remove the meat from the pan to a plate. Add half of the remaining meat to the hot pan and repeat the above steps. Add the cooked meat to the waiting plate. If necessary, add the remaining tablespoon of oil to the pan before adding the remaining meat. Repeat the steps. Enjoy! If at any point the pan begins to smoke, it is too hot. Lower the heat slightly and continue cooking. Remove the steak bites from the pan when they are browned on the outside and still juicy on the inside. They will continue cooking for a minute after they are removed from the heat. Skirt steak may be substituted for the flank steak in this recipe. You could probably use Sriracha sauce or gochujang, although I haven't tried those variations myself. If you try them, let me know how they work for you. Easy and delicious! A weeknight favorite at our house. Just make sure not to overcook the steak. This recipe is definitely a keeper! What containers for 21 day fix does this use? I cooked these for dinner tonight and they were AWESOME! I can never cook enough of these! I serve them with real fried rice and veggies, and my family DEVOURS THEM. I do add to the recipe, but that is for me to know and you to discover. Honestly, I don't think it will get tender enough with just the quick sear in the skillet. That's why I love skirt or flat steak for this recipe. I'd probably save the recipe for later. I'm sure you could get the same flavor but maybe cut the chunks in smaller pieces. I took beef stew meat (cut about an inch in size) and coated in BBQ sauce and then baked next to some sweet potato chunks and it was delish. Anyone try this marinate with chicken? These are a favorite of mine, but I'm trying to eat less red meat. This marinade works well on chicken! Enjoy. I am going to try these using venison. They look delicious. oh! That sounds good, Vicki. Let me know how they turn out! I made this for dinner last night and it was delish!!!! Not only was it great, but so easy! Thank you for this great idea. I will be trying it on chicken too.